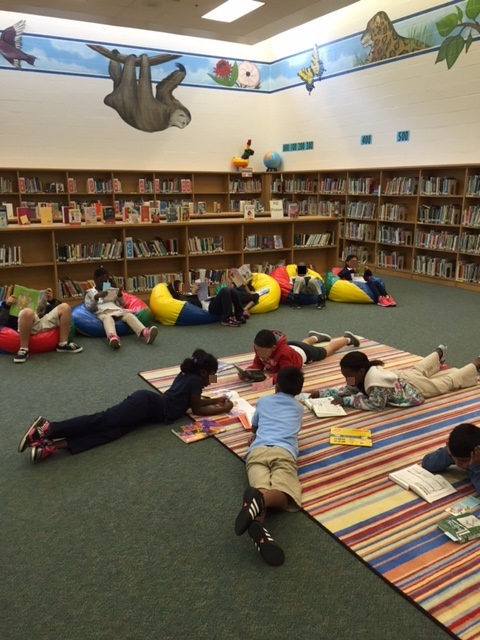 We have 325 NEW books in the library! Come in and check them out! This school year, students and staff at Sanders have checked out 9,164 books! Classes from 3rd – 4th grade have been learning how to use the Cobb Digital Library (MackinVia) and Destiny WebPath Express to research topics for their informationial writing. 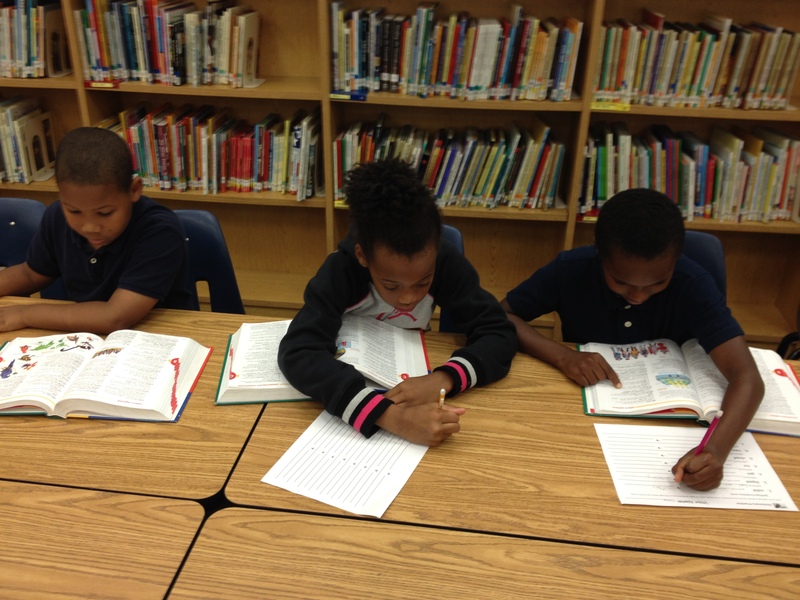 Students have been learning about guide words in order to look up words in the dictionary. They said it was fun! Just look how hard they are working! 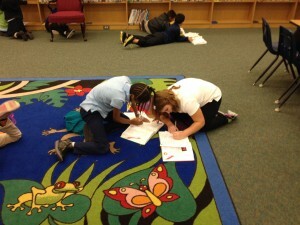 The Book Club meets every two weeks on Fridays from 1:00 until 2:00. 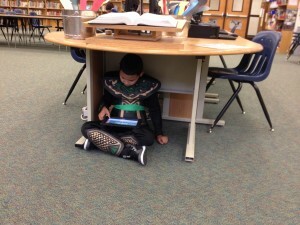 Some students are reading ebooks on iPads and loving it! Others want to stick with print books.